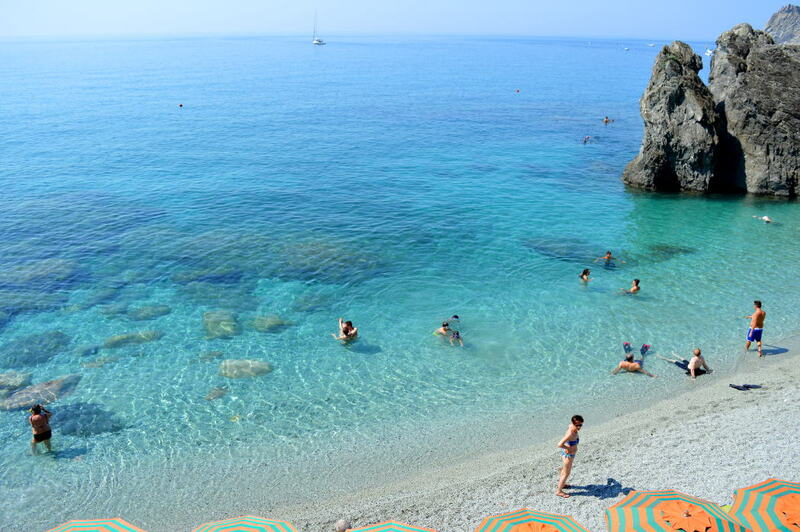 If you're after a beach on the Cinque Terre then Monterosso al Mare beach is the one to go for. From The Porto Roca - click for more. 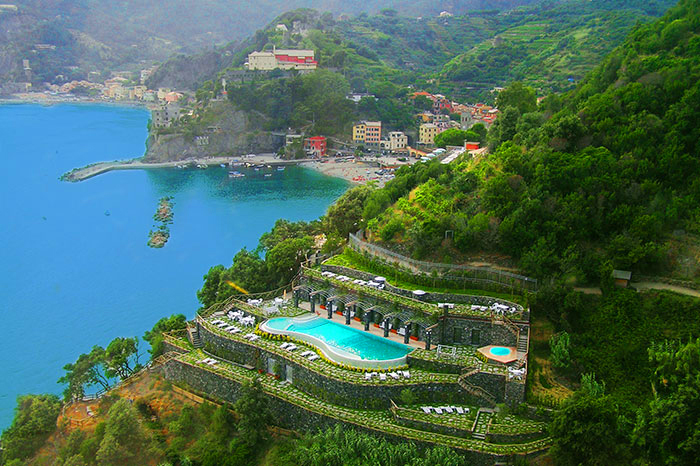 Monterosso is also home to the most romantic hotel on the entire Cinque Terre – the Porto Roca. The photo above shows the hotel's swimming pool. To visit the best parts of the beach you'll need to pay an entrance fee - I have a thing about paying to sit in an allocated row on the beach all day long so tend to avoid this. There are a few free bits that aren't at all bad near the end of the beach, and here and there in-between, but it gets really crowded in July and August. If you are here during those months you'd be better off enjoying the free beaches in nearby Levanto - some of those even have waves and people surfing! You don't get that often in Italy! Plus Levanto (see map further down the page) is the perfect base to explore the Cinque Terre, it's cheaper, has better restaurants and the trains run up and down from there all day and most of the night - the train journey from Levanto to Monterosso only takes ten minutes. 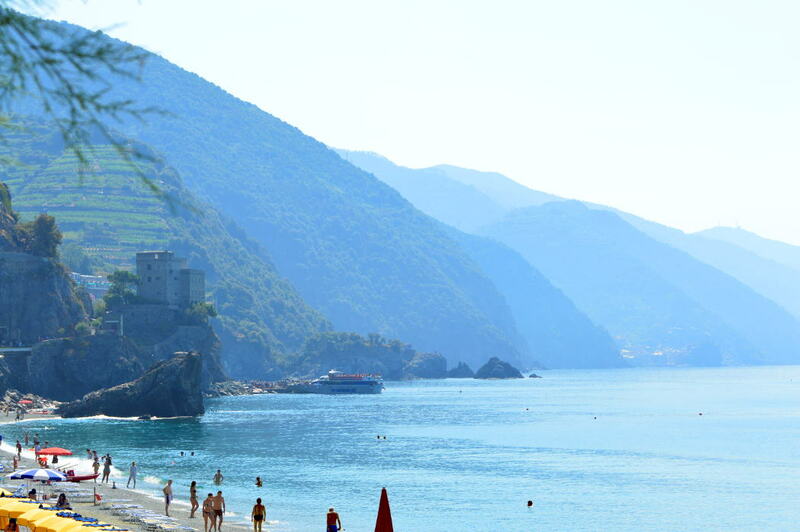 Anyway, you'd be crazy to come to the Cinque Terre just for beaches – this is one of the most gorgeous coastlines in the world so yes, see the beaches but see everything else too. For the rest; Monterosso is an attractive town although less picturesque than the others, mainly because it isn't perched up on the cliff tops or tumbling down a mountain side. That doesn't make it any less worthwhile visiting and, when I was younger, I used to love the night life which is the best on the Cinque Terre. 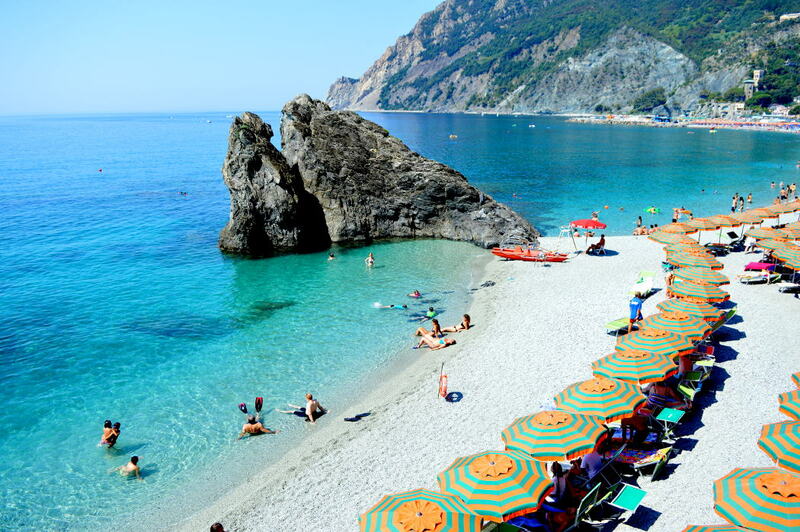 Also, Monterosso is where you'll want to start out if you're planning on walking the Cinque Terre. Click to read all the essential info about the walks. 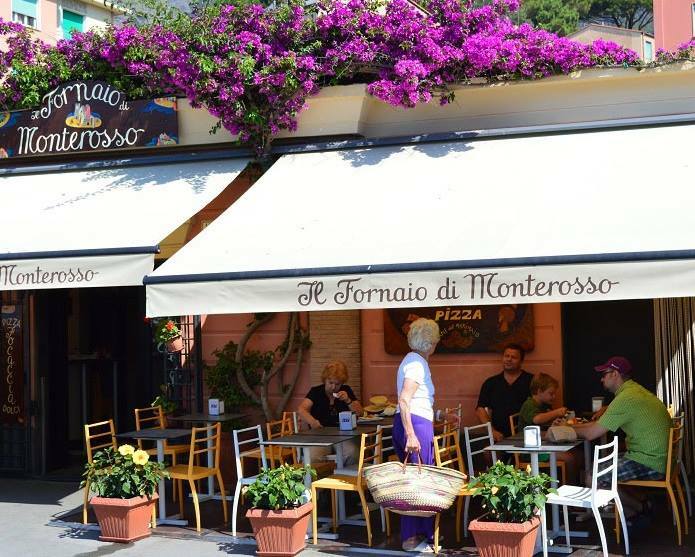 Il Fornaio is the absolute best place in Monterosso to try the famous focaccia - being right on the waterfront it is a good place to people watch too. Heading away from town, towards the walk that leads to Vernazza, you'll see the Aurora Tower (it's up on the cliff over the sea in the photo above) - the tower was built in the 16th century to keep pirates away. You can't visit unfortunately as it is privately owned, but you'll get a good view of it as you head up the hill to start the walk. The video shows the start of the walk up on the hill near the Aurora Tower. If you're lucky you'll find Guido busking along the path and you'll be sent on your way to the sounds of beautiful music. 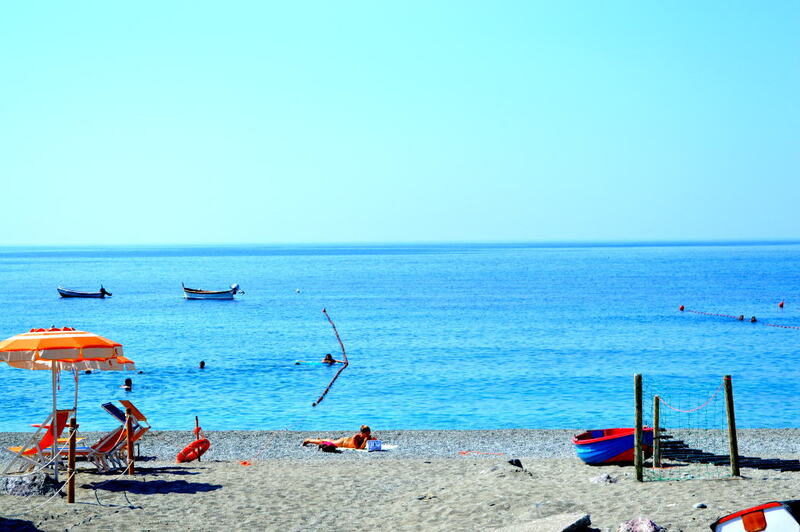 Monterosso Beach - the bit you need to pay for. This part of the beach is the loveliest but it is the pay section. You can always swim in the gorgeously blue and clear water though - nobody owns that... yet! 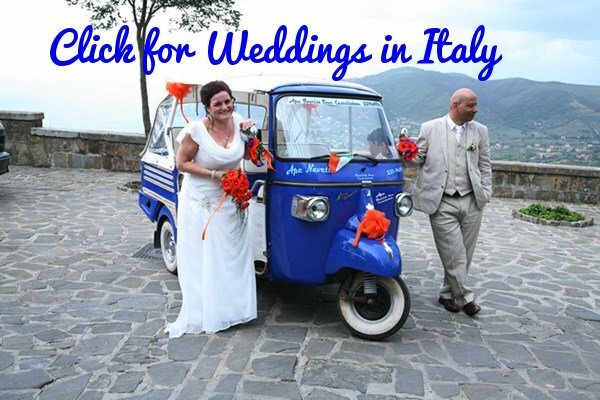 Visiting Italy in July or August? 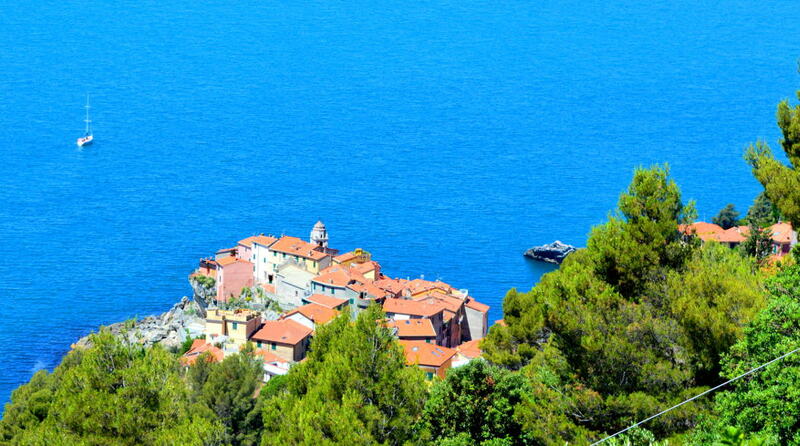 Still want picturesque little villages with stunning coastal scenery...but no crowds? 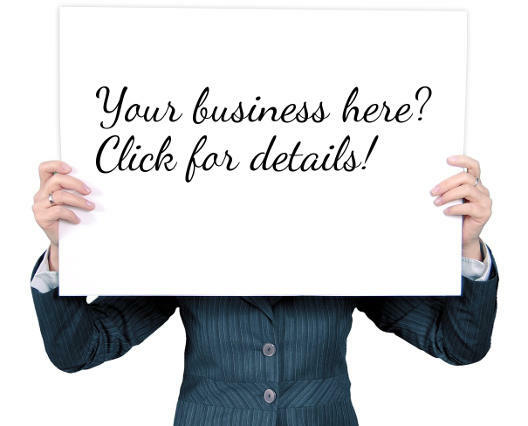 Then try Tellaro - click for more info.